Canadian courts have demonstrated a shift in the interpretation of use of a trademark. Brand owners should consider how they engage online with consumers in order to maintain protection. In recent years, global brands have turned their attention to the Canadian market. For these companies, ‘doing business’ takes a variety of forms – those in the retail and hospitality industries tend to focus their efforts on targeting Canadian consumers through online channels rather than brick-and-mortar locations. However, brand owners must ensure that they can demonstrate adequate use in Canada in order to establish and protect their marks on the basis of online use. In some cases, online use alone is insufficient and physical presence may be required. TSA Stores Inc v The Registrar of Trademarks (2011 FC 273) offers a liberal interpretation of what constitutes use in connection with online retail services. Brand owners often rely on it to show use of their mark in Canada in the absence of a physical presence or direct sales or shipment of goods to Canadian customers. In TSA Stores the rights holder owned no stores in Canada but filed evidence that a significant number of Canadian users had accessed its website, which provided information through its “Help Me Find Gear”, “Shoe Finder” and “Store Locator” tools. The Federal Court held that a trademark covering retail services could maintain its registration in the absence of a brick-and-mortar store in Canada or evidence of Canadian purchases from the website as the interactive website tools functioned as ancillary retail services and offered an experience akin to visiting a store and benefiting from a discussion with a knowledgeable salesperson. Brand owners have seized on TSA Stores to assert their trademark rights in Canada in the absence of sales to Canadian customers or a physical presence. The Federal Court’s expansive view was upheld in Laboratories Contapharm v Origins Natural Resources Inc (2014 TMOB 168), in which the registrar found that sales of products via a website amounted to retail services in Canada as the website displayed prices in Canadian dollars and the product information was accessible to Canadian users. The fact that the rights holder provided no Canadian sales invoices did not prove fatal to the case. Rather, the board held that “all that was required from the Registrant was to show that it was willing and able to perform the retail store services” in association with the mark in Canada. In Wolfie Furs Inc v Nygård International Partnership (2015 TMOB 64) the Trademarks Opposition Board (TMOB) applied another liberal interpretation of ‘use’ with regard to online shopping services. In this case, the registered mark covered personalised shopping services; to show that the mark was used in Canada, the registrant submitted several articles from its online fashion blog, which provided fashion advice on building wardrobes and linked directly to the registrant’s online store. The TMOB held that the blog demonstrated use in the services as the information that it provided went “beyond what would normally be considered within the expectations of a customer of an online retail store”. Again, the board pointed to the benefit of online ancillary services to support a finding of use. However, not all cases have followed this reasoning. Indeed, several have specifically noted the limitations of showing use of a mark by relying on ancillary services. In some cases, displaying a mark on a website – even where there is a level of engagement with Canadian users – has been insufficient to maintain the registration without evidence that the primary services have been performed for Canadian consumers while they were physically present in Canada or that services associated with the mark have been carried out within Canadian borders. In MJB Marketing Inc v Provide Gifts Inc (2013 TMOB 46) the hearing officer stated that TSA Stores is the exception rather than the rule with respect to online retail services. The decision found that displaying a mark on a website that was accessible to Canadian users did not demonstrate use of online retail and mail order services because the fundamental aspect of retail services is the ability to purchase and take delivery or possession of purchases from the website. Despite providing evidence of Canadian customers’ purchase information, the fact that the goods were not shipped to Canadian addresses proved fatal. The decision suggests that foreign online retailers which do not ship goods directly to Canada should consider other ways to interact with Canadian customers – whether by listing prices in Canadian dollars or providing services similar to those offered in TSA Stores. In the absence of Canadian sales, brands owners may need to show the offering of ancillary website services equal to those found in a brick-and-mortar store. download a mobile shopping app which included evidence of Canadian subscriptions and downloads. The registrant argued that the combination of these activities demonstrated a sufficient level of interactivity with Canadian consumers. However, the TMOB disagreed and distinguished between services that were performed in Canada and actively targeted Canadian consumers and those that were performed outside Canada but were accessible to Canadian users. The board rejected the principle of ancillary services to support use with primary retail services, noting: “Where a trademark owner performs services in another jurisdiction and wishes to register its trademark for the same services in Canada, the owner should generally mirror the performance of those services in Canada; merely casting the shadow of those services is insufficient.” While Canadian users may have benefited from interacting with the registrant’s website, the TMOB was not satisfied that this was in the nature of the registered retail services. Brand owners face similar challenges in demonstrating use in relation to travel-based services. Recent decisions have rejected the notion that any ancillary or related service can constitute the performance of hotel services or airport passenger ground transportation services. Instead, registered services should be “interpreted in accordance with common sense and given their ordinary meaning” in order to determine use (Supershuttle International Inc v Fetherstonhaugh & Co (2015 FC 1259 affirmed 2014 TMOB 155). In Bellagio Limousines v Mirage Resorts Inc (2012 TMOB 220) the TMOB held that although the BELLAGIO mark was well known in Canada, Mirage Resorts’ advertising efforts were insufficient to constitute use in hotel services as the company operated no hotels in Canada. It stated: “While technology has progressed to the point where one can enjoy the retail experience without ever having to leave one’s home, there is no evidence that hotel services have made such progress; a ‘bricks-and-mortar’ presence in Canada is required for hotel services. A hotel cannot operate via the internet or a 1-800 telephone number.” Even well-known marks cannot maintain their registration on the grounds of Canadian promotional activities alone, notwithstanding the fact that many Canadians visited the hotel when travelling. This decision was followed by Miller Thomson LLP v Hilton Worldwide Holding LLP (2017 TMOB 19) and Stikeman Elliott LLP v Millennium & Copthorne International Limited (2017 TMOB 34), in which the TMOB declined to recognise a broad interpretation of ‘hotel services’. To maintain registration for the trademarks STUDIO M HOTEL, STUDIO M HOTEL & DESIGN and WALDORF-ASTORIA, the owners needed to show that Canadian customers could enjoy hotel services without travelling abroad. Providing evidence of related but ancillary hotel services (eg, the organisation and booking of events or meetings, making restaurant reservations and booking tours and spa treatments) was inadequate to demonstrate this. Despite this, the rights holder in Stikeman Elliott could maintain its registration for marks in hotel reservation services, as these services were available to Canadian customers through a third-party reservation website and an international reservation telephone number. To demonstrate use in airport passenger ground transportation services, rights holders must similarly show that they have ‘wheels on the ground’ in Canada. In Supershuttle the Federal Court noted that even a liberal interpretation of ‘services’ is limited and while Canadian customers may be able to book and reserve ground transportation services in Canada, they cannot enjoy these services without leaving the country. The case law suggests that there has been a shift away from the broad meaning of ‘use’ of a trademark for travel-type services. TSA Stores and the frequently cited Federal Court decision in Venice Simplon-Orient-Express Inc v Société Nationale des Chemins de fer Français SNCF (1995, 64 CPR (3d) 87 (TMSHO) affirmed 2000, 9 CPR (4th) 443 (FCTD)) – which held that travel services, namely, railway passenger services, encompass train ticketing and train reservation services – have both received a narrow interpretation and limited weight on subsequent cases dealing with services in the hospitality industry. Brand owners should carefully consider where and how their services will be performed, as well as the ways in which Canadian customers can engage with these – and file their trademark applications strategically to ensure the best possible protection. Sharyn Costin is a partner, lawyer and registered trademark agent with Bereskin & Parr LLP. Her practice focuses on all aspects of brand protection. She has expertise in domestic and international trademark portfolio management, brand clearance, trademark strategy, prosecution and enforcement, as well as digital media and domain name matters. 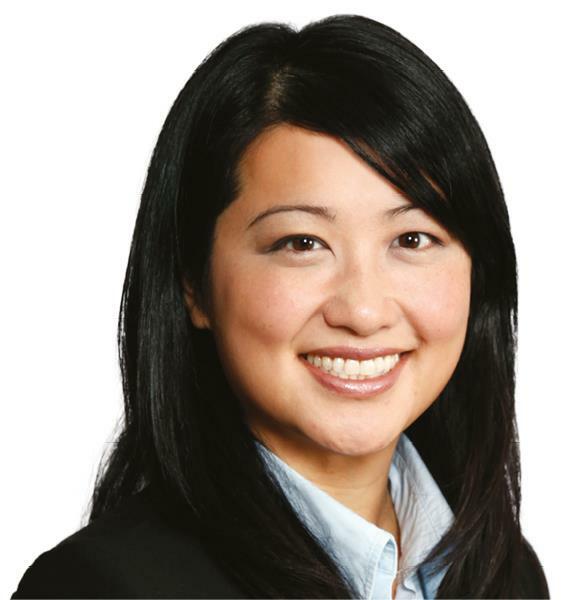 Wynnie Chan is an associate with Bereskin & Parr LLP and a registered Canadian trademark agent. 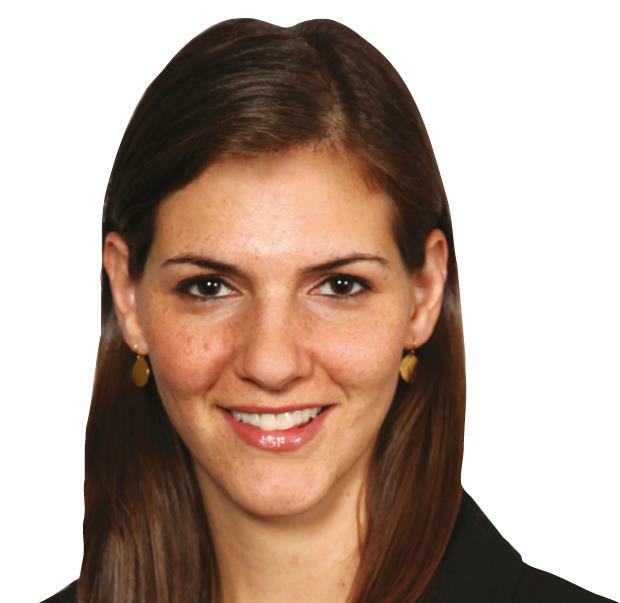 Her practice focuses on managing and overseeing international trademark portfolios, brand strategy and clearance, licensing and related litigation, and copyright, digital media, marketing and advertising law.